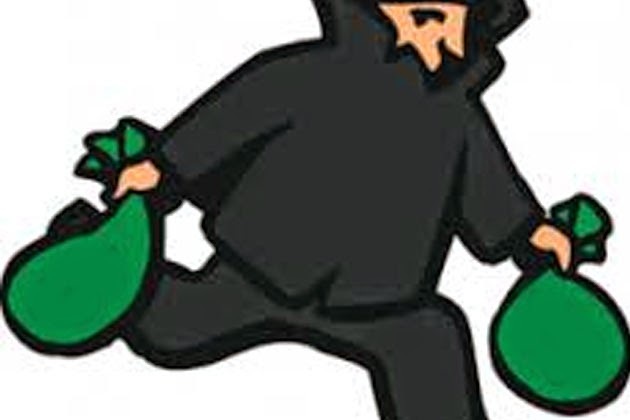 Valuables worth Rs.4.20 lakhs including a diamond necklace, gold jewels weighing 20.5 sovereigns, 250 g of silver articles and a cell phone were stolen from a locked house in Saleem Nagar in Keezhvisharam in Arcot Town Police Station limits on Tuesday night. According to the police, Mohammed Basha, a professor in a private engineering college in Melvisharam locked the house and went to Bangalore with his family members on Tuesday afternoon to see the wife of his friend who had been admitted to a hospital. When he returned home in the early hours of Wednesday, he found the lock of the main door broken open. The valuables kept in the cupboard were missing. On his complaint, the Arcot Town Police registered a case. Subbiah, Inspector of Arcot Town Police Station is investigating the case.